Today I want to share a contest that Scotch is running (someone is going to win $10000!) 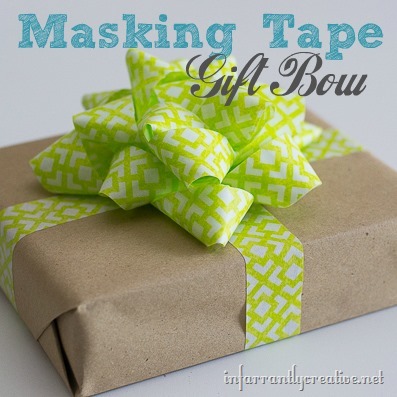 and also show you a quick and easy tutorial on how to make a gift bow out of masking tape. Scotch Expressions Tapes are available in over 100 colors and patterns and four varieties—Magic Tape, masking tape, washi tape and shipping tape. I used some of the patterned masking tape to make a little gift bow.